Became one of the greatest musicians – David Bowie. Man from Mars, as many called it, which he basically was, and a man on a global scale. 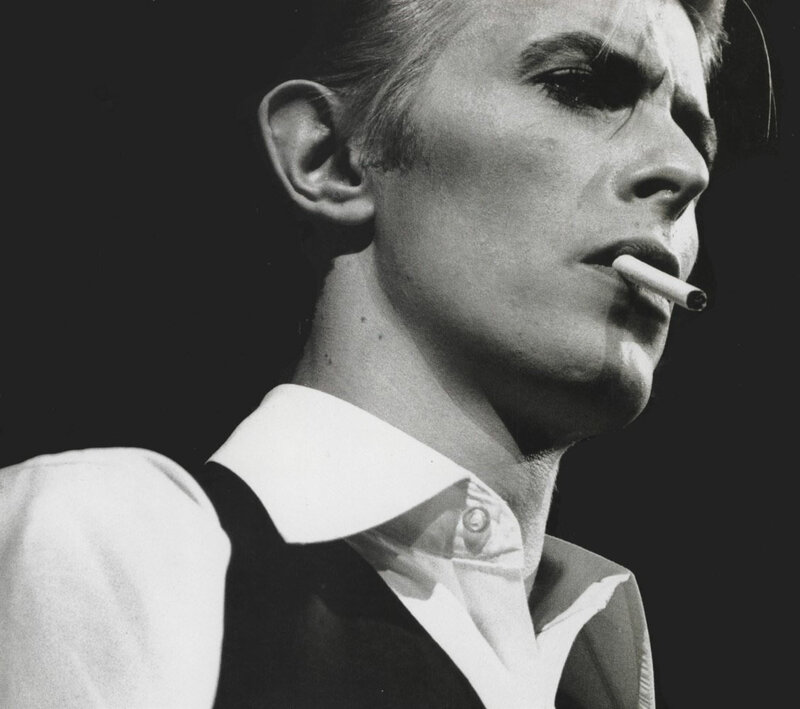 Singer, actor, artist, producer, sound engineer, anyone – Bowie was all at once. People, which goes from measurement to measurement. It is hard to imagine modern music without the influence of David Bowie. He always tried to be a pioneer in everything. Since the early ’70s, he was a leader of not only the music industry, he was a trendsetter and culture in General. The world first heard about David Jones, who took the pseudonym Bowie, in honor of the American pioneer Jim Bowie, in 1969, with the release of the first hit “Space Oddity”, released simultaneously with the first landing of astronauts on the moon. In 2013, Canadian astronaut Christopher Hat fill performed this song while on the space station. “Space Oddity” — the only song performed in space. They were more like theatrical performances than to rock the event. It was after the concerts Bowie abundance of lighting, costumes, makeup and choreography become a mandatory part of any major pop and rock concerts and concept albums, something like a mandatory program. After Ziggy goes into the shadows and Bowie is looking for new images and directions. Trying himself in the soul, in the image of the thin White Duke, who had migrated from the movie “the Man who fell to Earth” in which David starred 1976, the musician moved to Berlin. There he writes his trilogy “Low/Heroes/Lodger”. The ability to feel the spirit of the time distinguished the Bowie from the other musicians. He was always a step ahead. What is only conceived by others, David successfully embodied in their music. Every album was something new, although he did not invent the styles, he clearly knew how to surprise the listener. Since the beginning of the 80s, Bowie, realizing that the era of dance music, says the album “Let’s Dance”. Songs from the album quickly hits the youth the Erasure of the plate to the holes. In the Wake of the success recorded their next album, “Tonight”, all with the same dance-oriented. Bowie overcomes the path from superstar to Megastar. After David returned to film and starred in the film “Absolute beginners”. 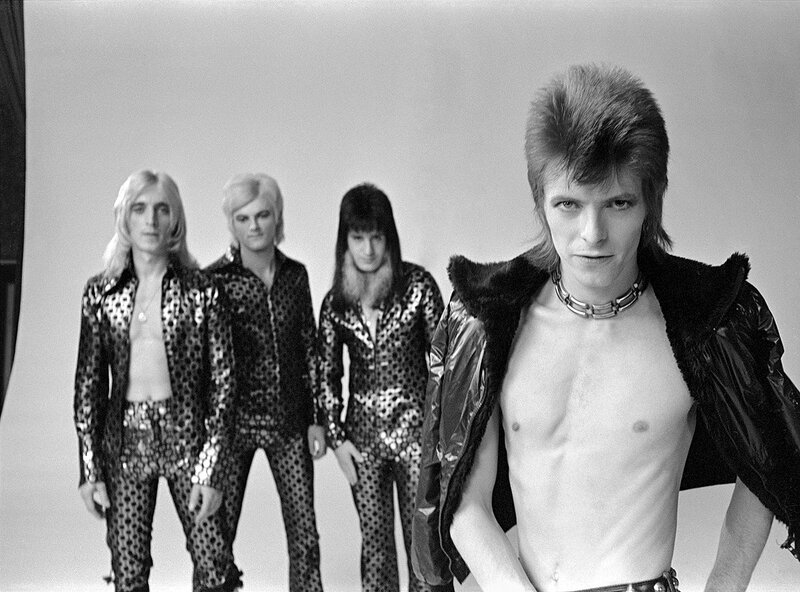 The film received average ratings from critics, but the soundtrack, written by Bowie, once again topping the charts. And immediately the light goes in the next film “Labyrinth”. Fairy tale about a girl Sara, who went in search of his brother in a strange maze, and confronted the charismatic Goblin king, who many might remember from childhood. In the early 90s Bowie goes towards the electronic sound, but then abruptly returns to the rock. The album “Outside” was written based on the story “the Diary of Nathan Adler”, which he wrote himself Bowie, about the people the grim apocalyptic world, living on the eve of the XXI century. Then produced two more albums and we’re twenty-first century. Bowie begins to cool down to music. In 2002 and 2003 produced two more albums comes a ten-year lull. David occasionally performs at different shows and becomes a guest at concerts of his friends, but he writes nothing new. 8 Jan 2013 in the light goes out the first single for such a long time “Where Are We Now?”. After the album “The Next Day”. The video for the eponymous song, which starred Gary Oldman and Marion Cotillard, produces a sensation. Bowie is rarely seen in public. Again rarely speaks, but continues. In 2015, he began writing the album “Blackstar”. At the end of the year produced the eponymous single, and on January 7 in a video for the song “Lazarus”, which was again well received by the public, but something started to cause concern. 8 January 2016, in its Birthday, David produces twenty-fifth Studio album “Blackstar”. Critics immediately called it the best Bowie album since Ziggy Stardust. The album on the first day are bought in great quantities, he confidently rises to the tops of the charts. As critics and fans try to understand what Bowie wanted to tell them too much, he was enigmatic and complex. The answer, alas, was not long in coming… January 10, 2016 in new York, after a long struggle with cancer, died on David Bowie. The same man who gave the planet too much to be real. Once I said to myself : “This man is immortal”, and after 2 days he flew to his home on Mars.